We are a full-service music agency providing live music, trumpet lessons/clinics & custom arrangements. 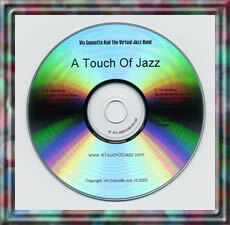 Visit us to view our unique gift creations for new baby, get well, stress-relief, Xmas, romance & more. All gift creations include our signature Frame Cards and Gift Story Instructions. Advertise on other websites by exchanging links with similar sites. Join our FREE worldwide search engine and boost your visitor traffic today by receiving LinkLeads. 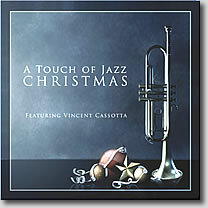 Vincent Cassotta is the founder and owner of A Touch of Jazz / Cassotta Music Agency. As an accomplished lead and jazz soloist trumpet player, he toured nationally with the Glenn Miller Orchestra. Vin has also performed with Frank Sinatra, The Manhattan Transfer, Ella Fitzgerald, Sergio Franchi and The Four Tops, Sammy Davis Jr., Andy Williams, and the Jimmy Dorsey Orchestra. Vin has performed in numerous pit orchestras for productions such as Annie, Grease, La Cage Aux Folles, and All That Jazz. He was the founder and director of the Enfield Community Jazz Ensemble and has performed with the Springfield Symphony Orchestra, Orchestra New England, and the Summer Festival Orchestra. 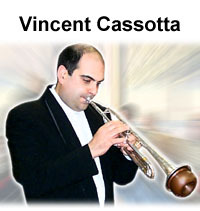 Vin has been an instrumental music teacher in the Enfield Public School system for the past 17 years.